Typhoid usually spreads through human contact only. Once the bacteria enters the human body, it spreads to the intestines and enters thebloodstream as well. Here's what you need to know. Typhoid is an infectious and bacterial disease caused by the bacteria Salmonella enterica serotype Typhi. Typhoid fever, even though acute, may cause diarrhea, high fever and vomiting. It usually spreads through contaminated water and food. Another bacteria which may cause typhoid is Salmonella paratyphi bacteria. It is not a very dangerous infection if treated with antibiotics immediately, else, it might prove to be fatal. Typhoid usually spreads through human contact only. Once the bacteria enters the human body, it spreads to the intestines and enters the bloodstream as well. In order to diagnose typhoid, experts check for the presence of S. Typhi bacteria in the sample of blood, urine or bone marrow. 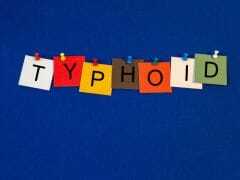 Risk of typhoid fever can be minimized by taking typhoid vaccine, typhim. The vaccine may may have some side effects and may cause some allergic reactions like fever or nausea. The typhoid diet should make up for carbs and fat content in the body. Protein-based foods are an extremely important part of the typhoid diet.Here's what you should eat and avoid when suffering from typhoid. The main cause of typhoid is the existence of the S.Typhi bacteria and its spread in the body. This bacteria usually spreads through contaminated food and water. If infected water is used to wash fruits or vegetables, the bacteria can enter the human body. Typhoid occurs more frequently in areas where the sanitation is poor and the usual drinking water is impure and contaminated. The bacteria, when it enters the body. multiplies itself in the gallbladder, bile ducts, or the liver and then reaches the bowels. This excretion remains a part of the sewage water for a long time and people who come in direct contact with such contaminated water can catch the typhoid bacteria. 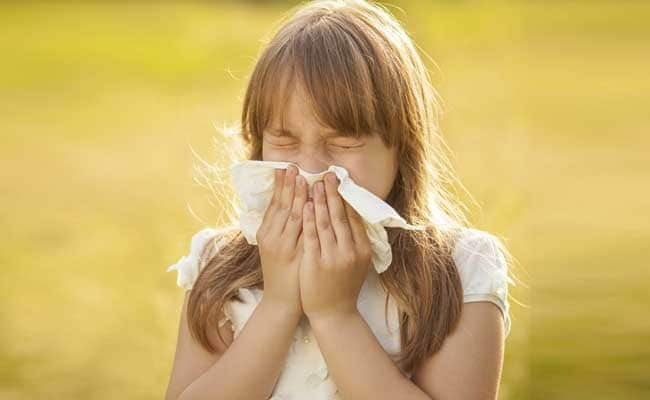 Once the bacteria enters the body, symptoms may start to show in 6 to 30 days depending on body resistance and strength of the immune system. Most prominent symptoms are fever and rashes on the body. 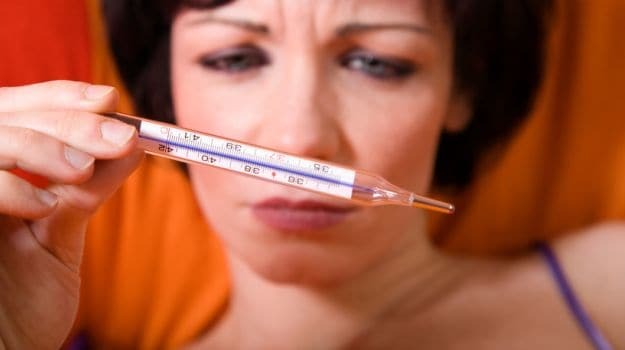 When suffering from typhoid, an individual may experience high body temperatures which does not go away easily.. If you notice light red spots on your neck and abdomen, it is a clear indication of the possibility of developing typhoid. One may experience loss of appetite and constant weakness. Headaches and body pain are common and frequent when a person is ailing with typhoid. Since the bacteria primarily resides in the intestines, constipation may also be experienced as a symptom. Typhoid may also be foreseen via diarrhea and vomiting. One may also experience a sore throat during the onset of typhoid. If the symptoms are detected at the right time and treated with antibiotics, then they will start disappearing within 7 days. Some people may carry the bacteria but still not be affected by it. Such people are more often called the asymptomatic carriers of Salmonella typhi. These people do not show symptoms of typhoid even when they have the bacteria living inside them. 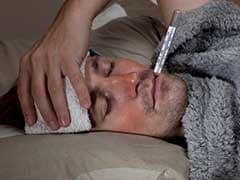 Typhoid can be best prevented through vaccination. One can get vaccinated through either orally or through an injection. The oral medication includes four tablets while the injection can be taken in one shot. The oral medication should not be given to children below the age of six. Vaccinations must be taken at least once before traveling to areas with poor sanitation. 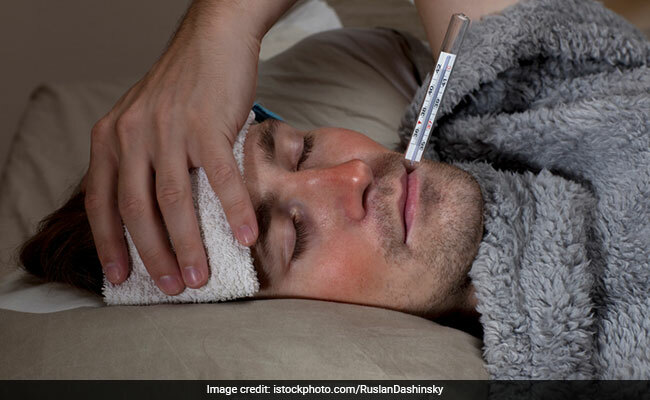 Vaccines may also come with some side effects like fever or a headache. But it should be noted that vaccines do not work all the time so even after you have taken a dose of the same, watch out for what you eat and drink. Vaccinations remain effective for 3 to 7 years after application. For prevention, you need to maintain proper hygiene.Carry your own bottled water at all places to avoid drinking contaminated water. Street food should also be avoided. Avoid using ice outside your house. Usually, antibiotics are used for quick and easy treatment of typhoid. Antibiotics help the symptoms to vanish within 7 days. Antibiotics such as azithromycin, ceftriaxone, and fluoroquinolones are recommended for patients suffering from typhoid. So this monsoon, keep distance from your favourite street delights and protect yourself from typhoid!